“Israel is a land of contradictions,” explained Boaz, an Israeli I’d just met in Nachalat Binyamin’s craft market. I had remarked that the first group of people we’d seen after our arrival in Tel Aviv the previous day had been Hare Krishnas, and that the first shop on one side of Carmel Market belonged to Jehovah’s Witnesses. “I’m a Buddhist,” he nodded, unphased. As we walked to a cashpoint, we discussed life, the legal profession (he had studied in Greenwich), and why Eastern doctrine is so popular in a country holy to so many religions. Welcome to Israel. 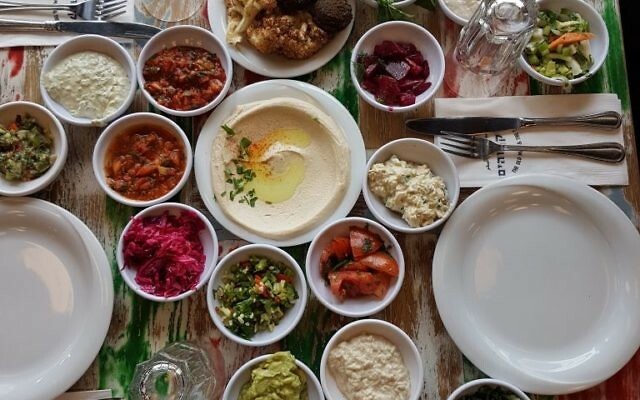 As a food enthusiast, I had plotted my family’s week-long itinerary around restaurants – there’s a reason Israeli chefs are influencing culinary trends around the world. But the first night was unaccounted for, and we found ourselves in Café Dizengoff, where we overheard one family raving about the cauliflower in tahini sauce. Well, our children fell over themselves to inhale the fried florets they would have spurned at home – and the rest of the meal was none too shabby, either. Our bellies full, we lay down our heads in our one-bedroom flat just across the road from Gordon Beach. 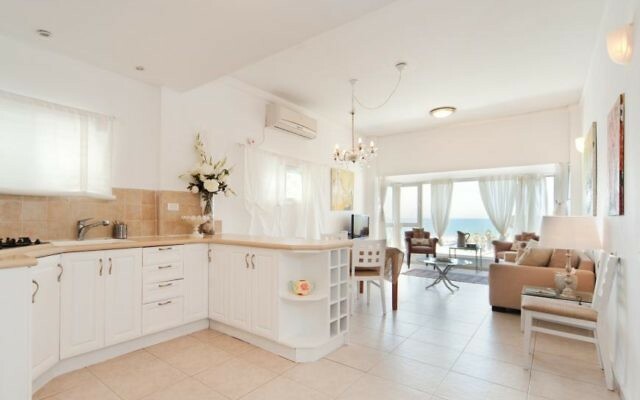 Managed by Tel Aviv vacation rental company Sea N’ Rent – whose portfolio comprises around 70 apartments ranging from those in the Bauhaus style to luxury accommodation with rooftop terrace – ours contained everything we would need for the next few days. This included a kitchen, towels, toiletries, Wi-Fi, satellite TV – and complimentary chocolates and a bottle of Israeli wine. Sea N’ Rent staff are happy to arrange extras, including laundry and airport pick-ups, or to provide tips on where to eat (I, however, had done my research) and what to do. Providing the personal touch, they meet you with the keys and show you around your new pad. They are always on call; we had a problem with our hob and someone came straight away and fixed it. 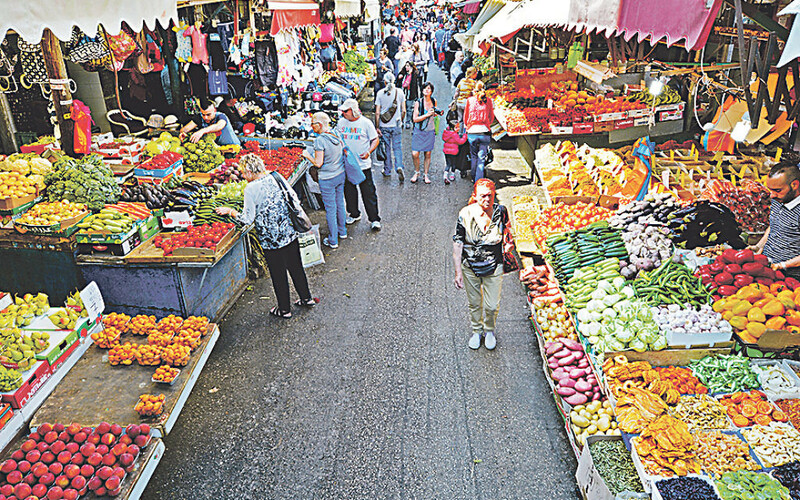 The next morning, we hit the city’s oldest market Shuk HaCarmel (open Sunday to Friday). Juxtaposed to the Judaica and Middle Eastern keepsakes were fruit and vegetables, sweet pastries, clothes and electronics. The craft stalls (open on Fridays and Tuesdays) are platforms for the talented painters, jewellers, Fimo designers and pottery sellers, and we even spotted two from whom we had bought goods during our last trip, seven years ago. My daughter came away with a hamsa necklace, and I with a wall decoration. Shopping is, however, not a favoured pastime of my husband or our children, so we honoured a promise to hit the beach. With unseasonably warm December weather, there were sunbathers, joggers (I even joined them twice), cyclists (you can hire bikes from the local Tel-O-Fun or other companies), shell collectors and volleyball players all out in force. It was good to soak up some rays when we knew we’d otherwise be shivering back home. The next day, we took a taxi up to the ancient port of Old Jaffa, where we explored the beautifully-painted narrow twists and turns of its alleyways and popped in to the Frank Meisler Gallery, where it is possible to – carefully – touch some of the exhibits. Meisler, who came over himself on the Kindertransport, is the artist behind Kindertransport – the arrival memorial at Liverpool Street Station. 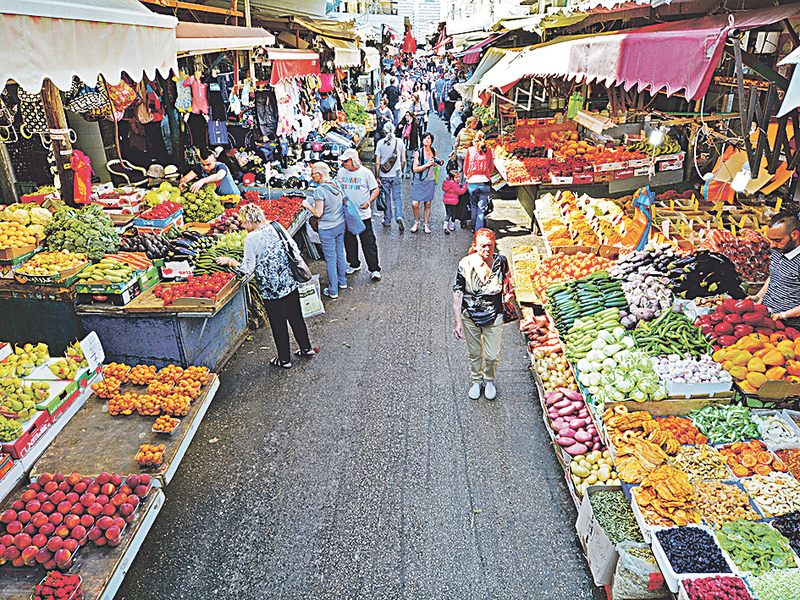 Another popular attraction is the Shuk Hapishpeshim, or flea market, in Jaffa, where, alongside the general bric-a-brac, you’ll find antique as well as contemporary treasures. Eateries line the market for some light relief. Speaking of food, we had been prewarned about the portion sizes, so arrived hungry to a warm welcome at the infamous Old Man and The Sea restaurant, which is flanked by fishing boats in the Jaffa harbour. Twenty-three mouth-watering salads later – including hummus, falafel, cucumber, beetroot, cauliflower, cabbage and aubergine – we worried about being able to do justice to the baked grouper, but gave it a good go. Ha Tachana. Now a fashionable space with boutique shops and a vintage carriage you can clamber aboard, it is great to wander around. The children spent a decent amount of time trying to complete the puzzles in the toy shop, a perfect antidote to screens. Tel Aviv is known as the White City owing to some 4,000 unique Bauhaus-style buildings, and those interested in architecture will be treated to more stunning designs and European-style homes and businesses along tree-lined Rothschild Boulevard and nearby. Aside from a reputation as serving up a great brunch, Hotel Montefiore in the Lev Halr district, is a perfect example of classical luxury. We, however, tucked into sweet potato pancakes, the house speciality of Shenkin Street’s culinary innovative and trendy Orna and Ella restaurant, along with other seasonal dishes. 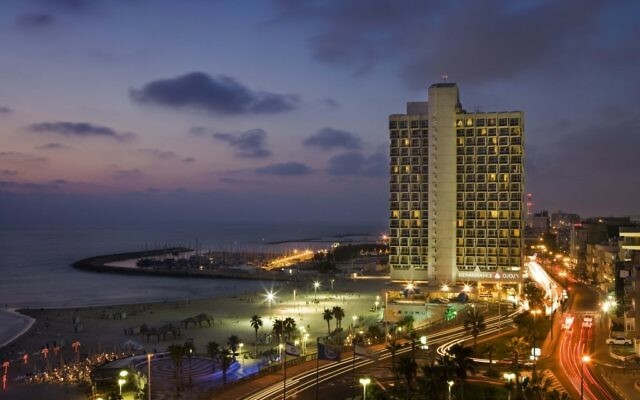 Speaking of indulgence, for our last two nights, we treated ourselves to a stay at the Renaissance Tel Aviv Hotel, located even closer to Gordon Beach. With all you’d expect from a top-class hotel belonging to the international Marriott brand, we were looked after very well. and our children were delighted with the views, and the space and privacy afforded by our rooms. Escape rooms are becoming extremely popular in Israel so, on our last day, we booked in for the Charlie and the Chocolate Factory themed room at Escape City (which has eight other rooms). We were tasked with making the special chocolate machine work and finding out the secret recipe – and completed our assignment just in time. The same was not true of our holiday, which could have gone on forever. Alex stayed at the Gordon Beach Sea View apartment managed by seanrent.com, which costs between $140 and $200 per night. 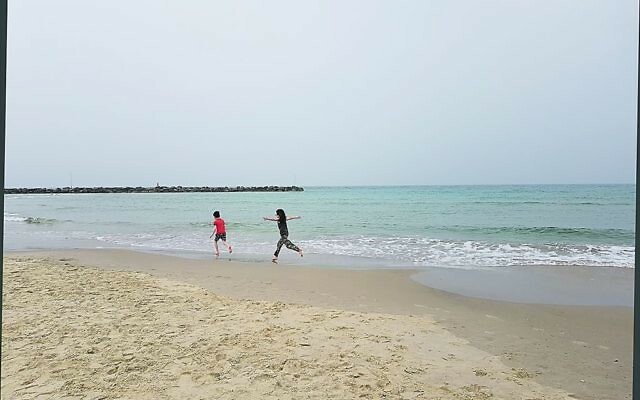 She also stayed at the Renaissance Tel Aviv Hotel, where a double room until the end of February 2018 starts from $270 including breakfast.